The diagram below provides an overview of the business functions that make up PlanetTogether APS as well as the capabilities that are standard across the entire platform. Each function and platform capability is described in more detail below the diagram. Each function listed below serves a different, though inter-related,;functional purpose within your planning process. All functions can be accessed seamlessly from one easy-to-use; screen and can be viewed separately or side-by-side with other views. Constraint-Based Scheduling - Create accurate schedules in seconds, automatically taking all critical constraints into consideration including finite resource capacity, raw and intermediate material availability, and any special sequencing rules. Save time updating schedules and automatically optimize resource allocations for the best possible production performance. Capacity Requirements Planning (CRP) - Gain rapid insight into resource workloads to better match your production capacity with fluctuating customer demand for improved service at minimum production costs. Inventory Planning - Easily spot inventory shortages or overages based on the latest supply/demand data for raw materials, intermediates, and finished goods. Know at any time how much materials are needed and when they’re needed to satisfy customer orders and forecasts. 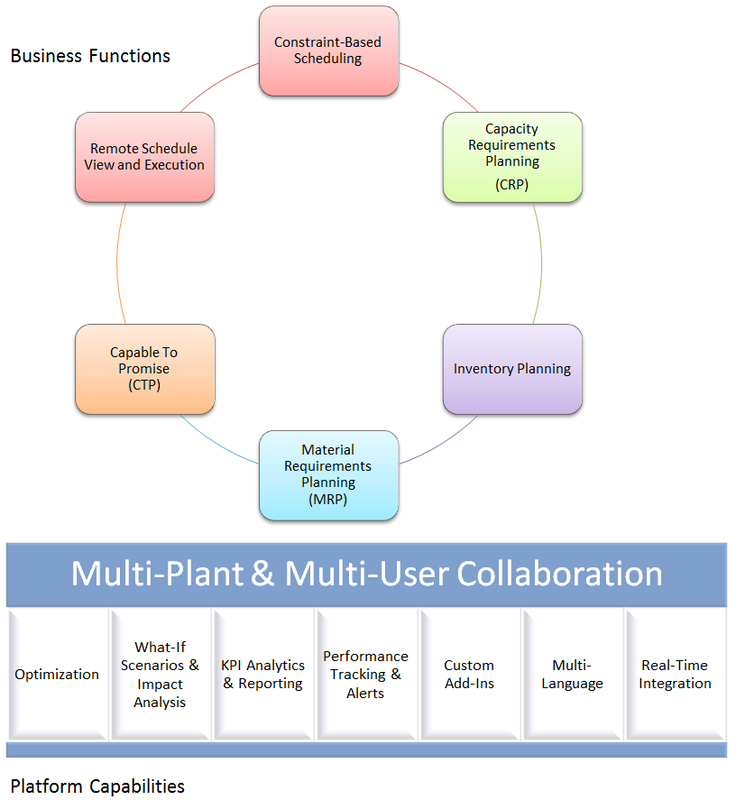 Material Requirements Planning (MRP) - With a single click, generate optimized material plans including the creation of planned production orders and purchase orders that satisfy sales order, forecast, and safety-stock requirements while taking batching and lot size rules into account. Capable To Promise (CTP) -Provide your customers with rapid and accurate ship date promises that take all constraints into account. Check multiple plants and warehouses simultaneously to easily compare sourcing options. Remote Schedule View and Execution - Improve communications with the shop floor with faster, more reliable bi-directional sharing of schedules and production statuses.Ensure that the right work is being done every minute of every day and stay up to date on the latest events on the production floor for maximum agility. The following functions are available across all modules and access to them is based on individual user security levels. Optimization - Create plans and results that are based on balanced optimization rules that are easily configured with adjusted weighted business metrics such as “on-time delivery”, “profitability”, and “efficiency”. What-If Scenarios Impact Analysis - Quickly create and compare planning scenarios to understand both the high-level and detailed impact of proposed changes to your plans such as: increases in demand,;modified staffing levels, or additions of production equipment. KPI Analytics Reporting - Measure plans against key performance indicators to make sure decisions made in the planning process will result in the desired business performance.View standard and custom reports from in-memory or Microsoft SQL Server resident planning data — both current and historical. Performance Tracking Alerts - Understand which resources are performing ahead and behind of standards to help focus improvement measures.Avoid surprises by staying on top of the latest risks and events through real-time e-mail alerts. Custom Add-Ins - Benefit from rapidly deployed and easily upgraded “out of the box” software while at the same time getting the best possible results from a system that can be tailored to fit your exact needs over time. Real-Time Integration - Plug your new planning platform into your existing systems for consistent data and quick results without the need for additional data entry. Get started easily with a pre-defined ERP integration while still being able to fully configure it to fit the way your business works. Multi-Language - Provide each user with planning tools that are in their preferred language. Want to see what your ERP can achieve with APS? Optimized production hinges heavily on advanced capacity planning and scheduling. 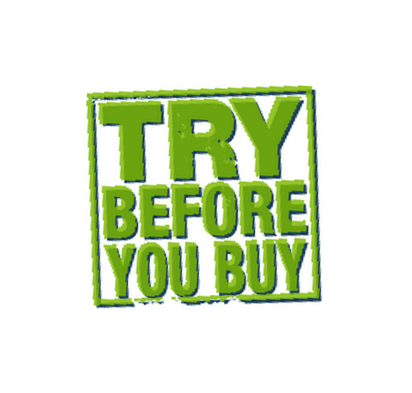 Our free demo explains it all!